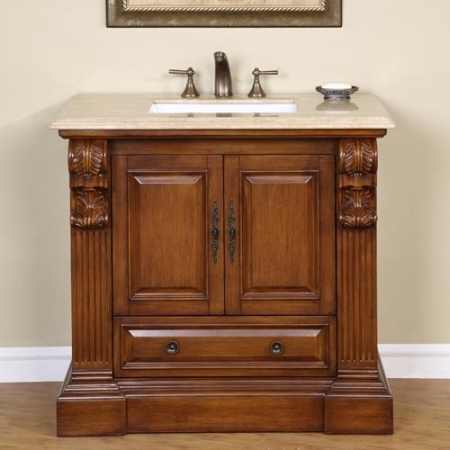 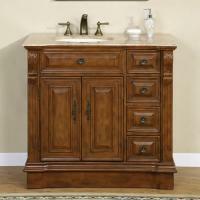 This traditional single sink bathroom vanity offers four drawers and a cabinet. 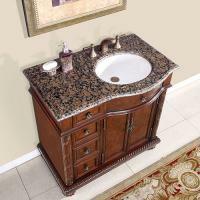 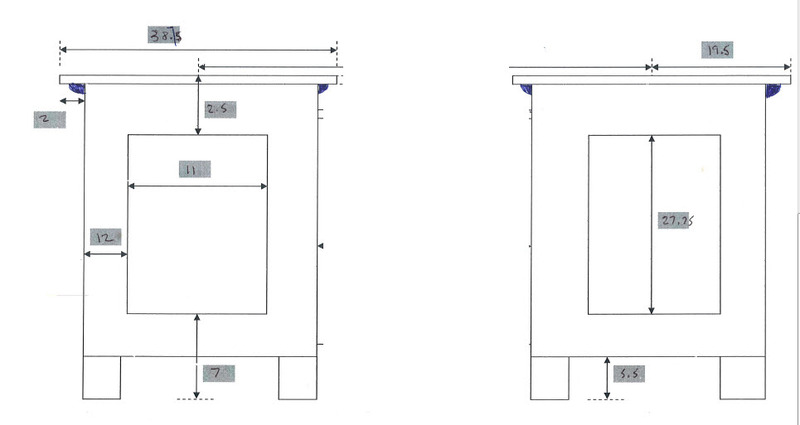 You can choose which side of the piece the drawers go on to make the best use of you bathroom space. 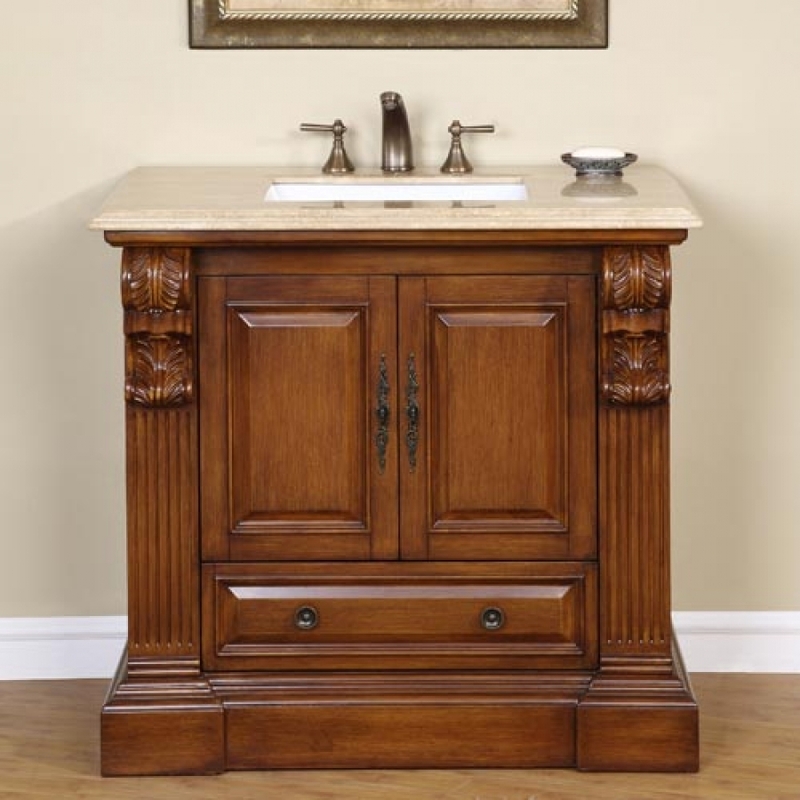 Fixtures are not included.